Panasonic's latest Blu-ray offering is aiming to give users not only a high quality viewing experience but also an energy efficient one. The television giant's 2011 Blu-ray offerings introduce Skype video calls – with DMP-BDT310, DMP-BDT210, DMP-BDT110 all offering 3D Blu-ray playback and a fourth model – the DMP-BD75 – bringing a 2D experience. 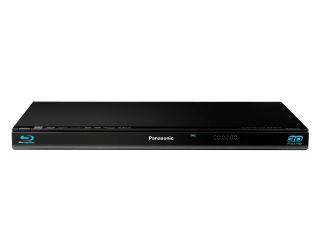 "The BDT310, BDT210 and BDT110 are all high-quality Blu-ray Disc players with 2D- 3D Conversion, which can convert 2D images from DVDs and Blu-ray discs into 3D with natural depth perception," explains Panasonic's release. "With the 3D Effect Controller the user can control the leaping effects of 3D images, as well as allowing one to adjust the amount of depth. "This permits the user to view expansive images and enjoy 3D content with exactly the kind of 3D effects they want. Also contributing to higher picture quality is the new UniPhier chip, which simultaneously lowers power consumption." The inclusion of Skype is noteworthy , with a dedicated Skype button on the remote controls. "Panasonic's 2011 Blu-rayDiscPlayer lineup incorporates the successes of its 2010 line, while adding innovative features that meet the demand of consumers and new trends in technology," said Richard Simone, Vice President, Panasonic, Consumer Electronics Company, Merchandising, Imaging and Entertainment Products. "Features such as theTouch-Free Sensor,Home Screen Wallpaperand Skype allow consumers to easily personalize their entertainment experience to fit their lifestyle. And now the consumer can enjoy the benefits of Skype from any HDTV." The Blu-ray players have been given a release date of Spring – but there is no word yet of a UK release date or pricing.